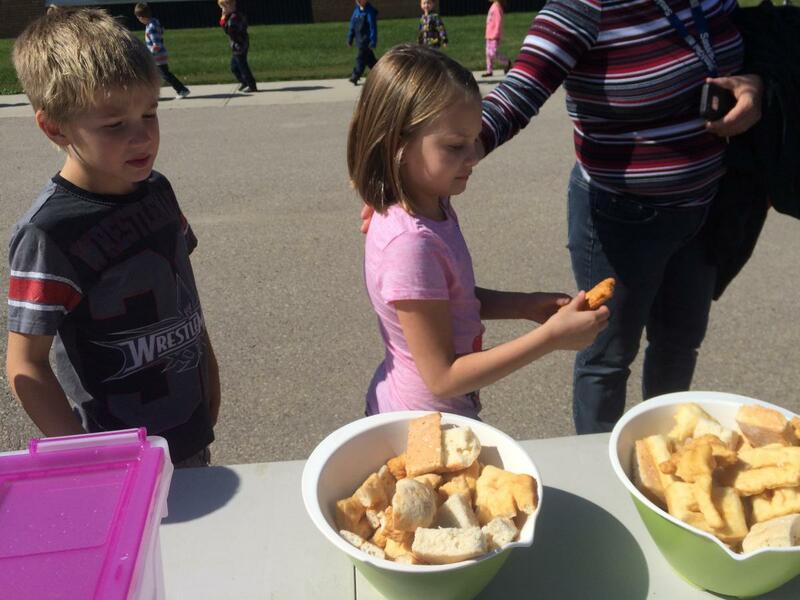 The afternoon of Wednesday, September 9th was very special for Palliser Heights School. Students, school and central office staff, Prairie South board members and community members were all treated to a tipi raising and round dance. 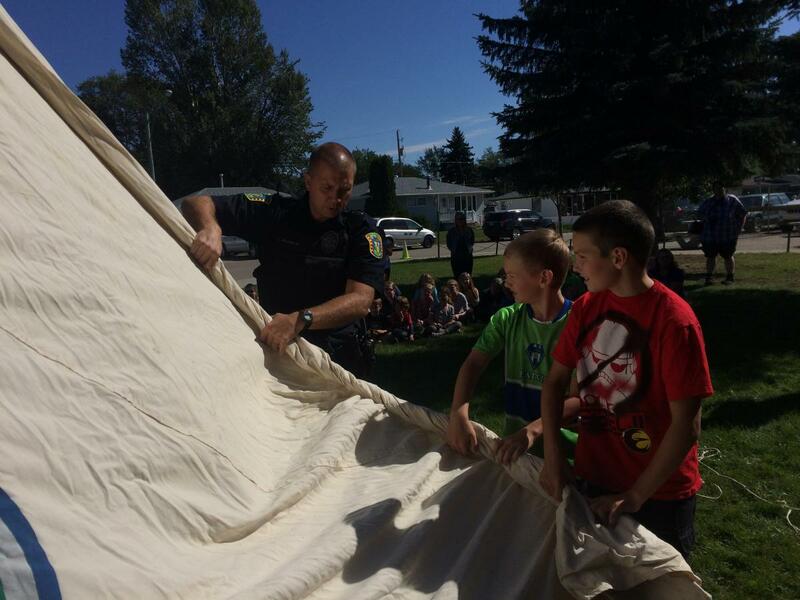 Jeff Capo led the day, sharing tipi teachings and traditional knowledge in his engaging and humorous way. Those in attendance learned many things, including what each pole of the tipi represents and how tasty bannock is! 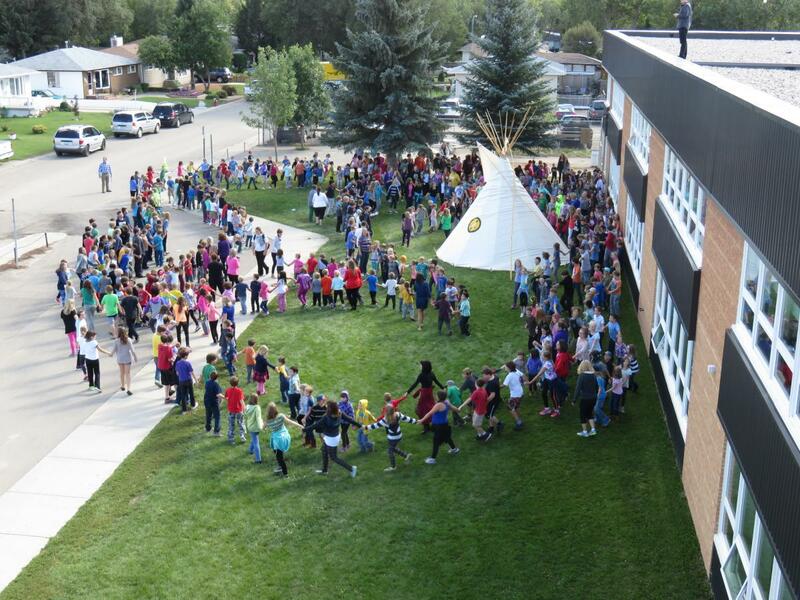 A special thanks to Wayne Fisher and Trevor Cozart for dancing after the tipi was raised and to the students of Palliser Heights for showing such respect during all of the afternoon’s activities.